The European Union and Azerbaijan organized the second joint business forum on May 18 to eye what else can be done to increase trade and investment between the union and the country. Today, the EU is the largest trade partner and investor for Azerbaijan. 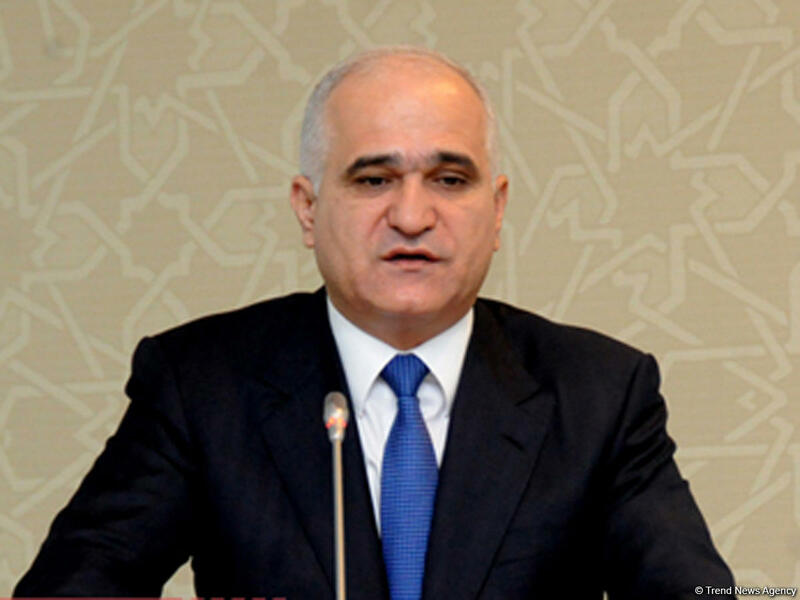 The EU countries have invested $20 billion in Azerbaijan's fixed assets for the last 10 years, said Shahin Mustafayev, Azerbaijani Minister of Economy. "The EU countries made direct investments worth $2.7 billion in Azerbaijan's non-oil sector, that is 35 percent of the total volume of direct investments in this sector of the country," he said addressing the event. "Azerbaijan is a very important country for the EU and the developing relations testify to it. Azerbaijan and the EU countries have held 98 business forums for the last four years," the minister said, adding that two of them have been recently held. The minister went on to add that the share of trade turnover with the EU hit 47.5 percent of a total volume of Azerbaijan's foreign trade in 2015, while 43 percent in the first quarter of 2016. The trade turnover between Azerbaijan and the EU countries stood at $1.53 billion in the first quarter of 2016, according to Azerbaijan's State Customs Committee. The minister reminded that Azerbaijan and the EU countries signed a lot of agreements on avoidance of double taxation and investment promotion. “Azerbaijan signed the agreements on avoiding double taxation with 23 EU countries. Moreover, the country signed the agreements on mutual protection and promotion of investments with 18 countries,” he added. Azerbaijan cooperates with 14 EU countries in the format of the intergovernmental commissions, while with two more countries the country cooperates in the format of working groups. The minister also added the Azerbaijan-initiated Southern Gas Corridor was one the main infrastructure projects of EU. The Southern Gas Corridor project, which will start in Azerbaijan and run through Georgia and Turkey, later in June 2016 through Greece onward other EU countries, guarantees the energy supply to the EU. Head of EU Delegation in Azerbaijan Malena Mard, addressing the event, said carrying out the economic reforms in the country opened new opportunities for European companies. “The EU was the biggest economic partner of Azerbaijan. EU was ready to support the efforts of the government in the field of carrying out the reforms,” she added. European companies want to actively operate and invest in Azerbaijan, she said, further elaborating Europe actively cooperates with Azerbaijan in the energy sphere, but the parties have an opportunity to expand the cooperation in other spheres as well. Mard pointed out that the EU cooperates with Azerbaijan within the Eastern Partnership program and will continue the cooperation in the areas which are priority for both sides. Improving the government activities and the legislative framework is one of the priority areas of cooperation between the two parties, according to the head of the EU Delegation. Further, Mard noted that the talks on the agreement on Strategic Modernization Partnership will start soon. Currently, the issue of getting the mandate of the Council of the European Union is under discussion, she said, adding that initially, this issue should be discussed by the EU member states. Once the mandate is given, the official negotiations will start, said Mard. Speaking at the event Rene van der Linden, former president of the Parliamentary Assembly of the Council of Europe emphasized that Azerbaijan, which stands out for its stability and support for peace proposals, has a bright future. "Azerbaijan has greatly changed thanks to the incredible development," he said, adding that it can be seen clearly in Baku. "I see Azerbaijan has a very bright future." Azerbaijan has become a country of direct priority to the EU’s strategy in its wider neighborhood since the last enlargement of the European Union in 2007. Baku, relying on its economic and diplomatic policy, seeks a strategic partnership with the EU and has already introduced a draft EU-Azerbaijan Strategic Partnership Agreement in Riga Eastern Partnership Summit. Joint consultations on this agreement have been recently finalized.